California Professional Clear Pupil Personnel Services (PPS) Credential: School Psychology. California Professional Clear Multiple Subject Teaching Credential. 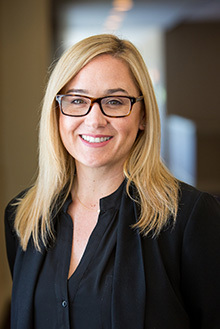 Dr. Rebecca Lundeen is an Adjunct Assistant Professor at the USC Rossier School of Education, and a nationally certified school psychologist with experience in instructional design, psychoeducational assessment, program evaluation, and consultation. She has taught preschool, K-12, and adult learners in formal and informal contexts for over 15 years. At USC, Lundeen teaches courses focused on learning and motivation theory and principles to promote learning, self-regulation, and effective instructional design. As a consultant for the Los Angeles County Office of Education, she designed a model of intervening services and teacher training to support the social-emotional and early literacy development of 26,000 Head Start preschool children throughout the county. She continues to support implementation by facilitating trainings, modeling instruction, and aiding the fidelity of intervention through consultation with teachers and key stakeholders. Lundeen received her Ed.D. in Educational Leadership with a concentration in Educational Psychology from USC, and a Master’s in Educational Psychology from Azusa Pacific University. She is a Trojan at heart, also earning her B.A. in Psychology and Sociology from USC. Outstanding Faculty Member, Master of Education in Educational Counseling Program (Students in Higher Education Counseling, 2018). Outstanding Faculty Member, Master of Education in Educational Counseling Program (USC Rossier Student Organization, 2017). Professor of the Year, Master of Education in Learning Design and Technology Program (USC Rossier Student Organization, 2016). EDPT 502: Learning and Individual Differences. EDUC 503: Learning and Motivation. EDUC 587/588: Master's Thesis Advisement. EDUC 792/794: Doctoral Dissertation Advisement.